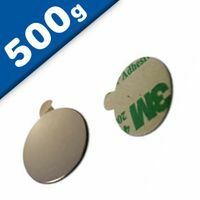 Adhesive Neodymium Magnets are thin neodymium magnetic discs and magnetic block magnets pre-applied with 3M peel and stick adhesives. 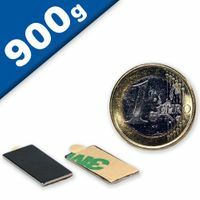 This adhesive attached powerful neodymium magnet lets you place the ease and reliability of Neodymium Magnets almost anywhere. 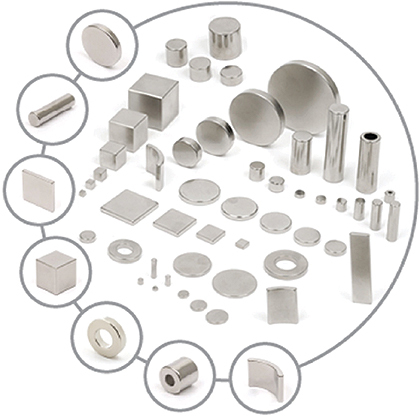 Magnets have been used for closures and cabinets for a long time. 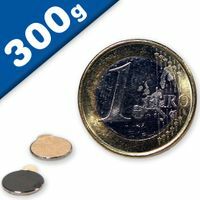 Neodymium disc magnets and block magnets to glue on: You can find strong, flat & versatile self-adhesive magnets in our online Magnet-Shop. 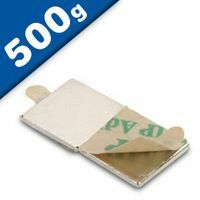 Low profile, popular neodymium magnet with clear adhesive transfer tape applied to one side. 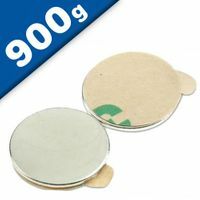 Compact, versatile magnet that assures full contact and maximum holding power. Small consistent radius edges equate to a smooth, burr-free product. Great for numerous P.O.P. applications. 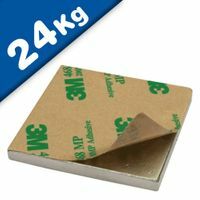 Simply peel off the 3M factory liner and stick to any clean, smooth surface. Best suited for indoor use. Warning: Magnets should not be used near electronic equipment. 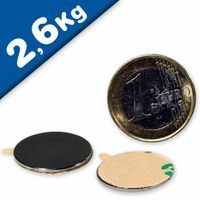 Adhesive neodymium magnets are thin neodymium magnetic discs and magnetic block magnets pre-applied with 3M peel and stick adhesives. 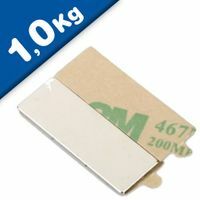 This adhesive attached powerful neodymium magnet lets you place the ease and reliability of Neodymium Magnets almost anywhere. 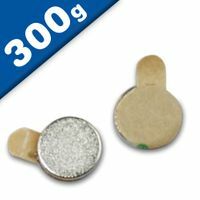 Magnets have been used for closures and cabinets for a long time. 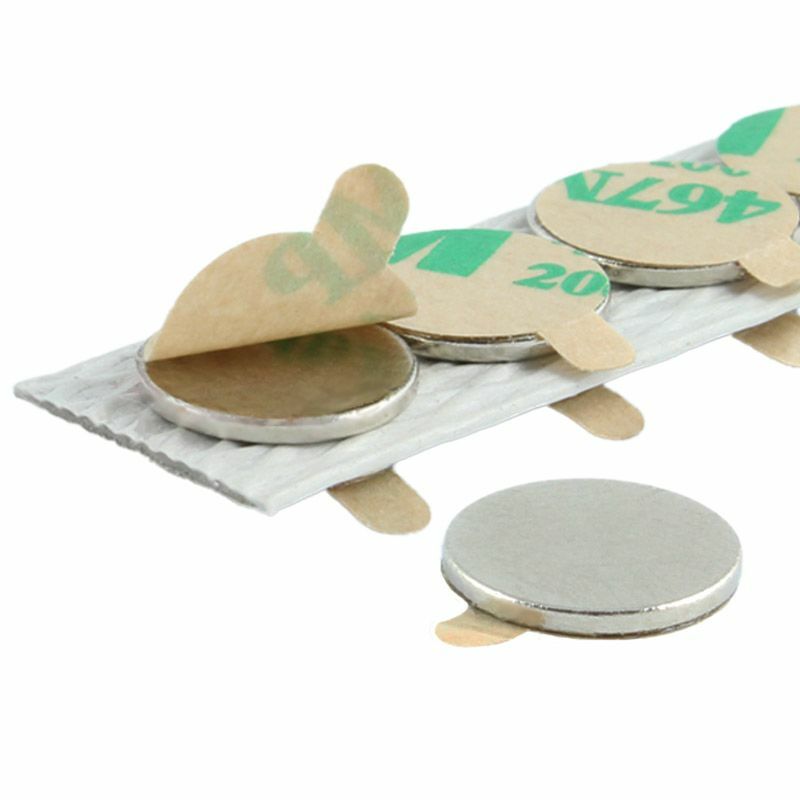 With the advent of neodymium magnets and their super strength magnetism have become used for so much more. 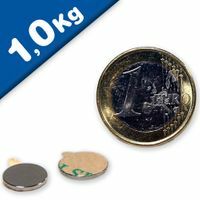 Adhesive Neodymium Magnets are many times stronger than the ceramic magnets and their use for closures provides stronger closing forces with a much smaller profile. 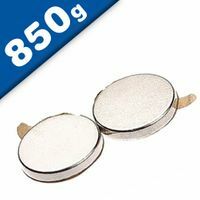 Neodymium magnets are replacing the older ceramic magnets in all areas of magnetic applications, like jewelry cases, gift boxes, high end folders and binders, and cabinet doors and drawers etc.